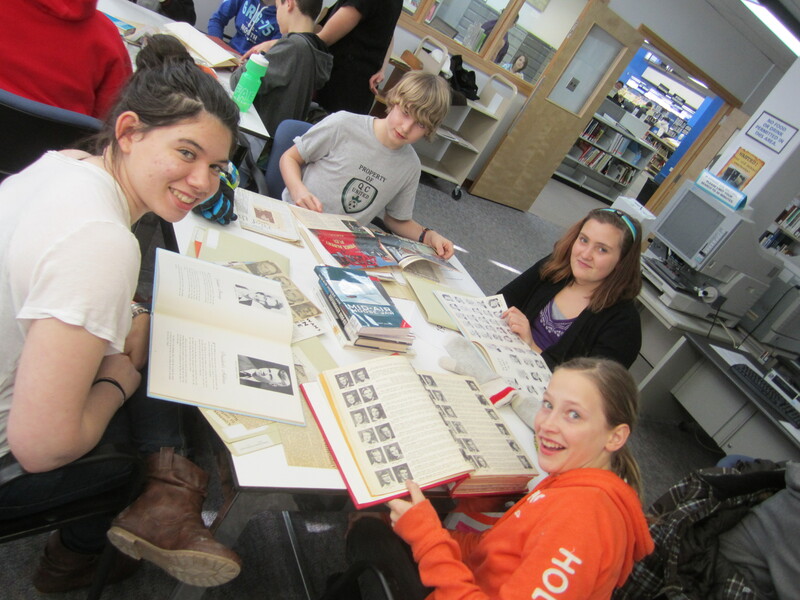 The above photo shows students doing original research in the Regina Public Library’s Prairie History Room. The students are looking for information about life in Saskatchewan during various historical eras. Their findings will inform artwork for a series of centennial banners to be unveiled at Connaught Library Branch in June. Project sponsors are Regina Public Library and the Dunlop Art Gallery.